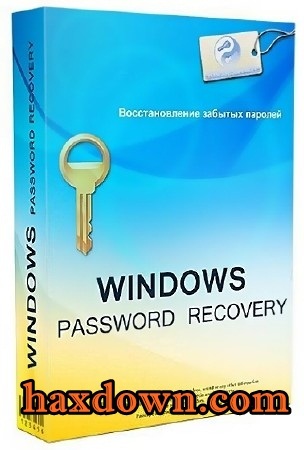 Passcape Windows Password Recovery 11.1.2.1005 size 51.17 Mb is a forgotten password or a locked account is a rather unpleasant situation because you may have to completely reinstall the system. Fortunately, for such situations there are special utilities, such as Windows Password Recovery, which will help restore forgotten passwords to Windows logins. In addition, the program positions itself as a professional solution for analyzing and auditing system security policies, developing recommendations to improve the stability of password protection for Windows operating systems. Password auditing with Windows Password Recovery identifies security holes, helps administrators ensure the reliability and security of enterprise networks, checks the level of operating system protection. The program has 18 different types of attack weapons, 10 of them unique, made in our company and only used in our software. Dictionary attacks support text dictionaries in ASCII, UNICODE, UTF8, PCD, RAR and ZIP formats. Some program functions, such as word mutations, are unique. The total number of mutation rules exceeds one hundred and fifty. It’s not found in a similar program! High browsing speeds on modern computers – over 100 million p / s on quad-core processors and over one billion passwords per second when using GPUs. Support for long passwords (up to 255 characters). There are additional tools for generating hashes, checking the power of keywords, creating rainbow tables, etc. Extra utilities: create registry and Active Directory backups, unlock keywords for asterisks ****, reset passwords directly from SAM or NTDS.DIT, SAM and NTDS.DIT ​​editors, decrypt DPAPI, indexing disk sectors, etc. .